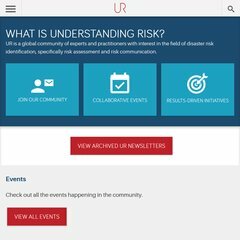 Topics: Understanding Risk Network, Groups, Projects, Blogs, and Climate Risk Modeling. The site has about 19 users daily, viewing on average 5.00 pages each. The site is programmed for PHP/5.3.8. It has 4 nameservers, including dns4.worldbank.org, dns1.worldbank.org, and dns2.worldbank.org. It is hosted by Cgnet International California, using Apache/2 web server. PING www. (64.95.129.103) 56(84) bytes of data. A ping to the server is timed at 52.2 ms.